Designed to bring extra sparkle, the Diamond Essentials Sterling Silver Bracelet is a delicate yet fun meeting of sparkling pave diamond and classic silver. Offering exquisite craftsmanship and visionary designs, the Links of London collection re-imagines timeless styles to create an effortlessly charming blend of classic and contemporary. 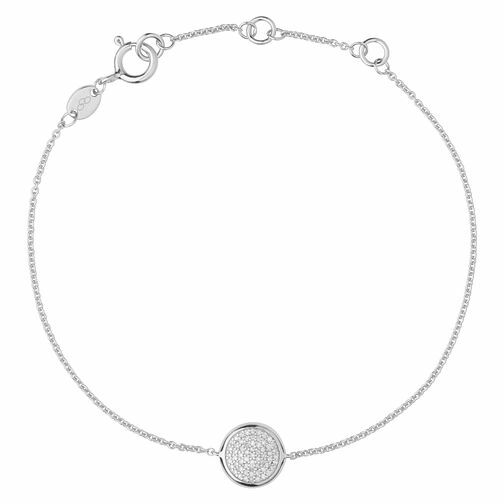 Links of London Sterling Silver Diamond Bracelet is rated 3.0 out of 5 by 1.